Testimonial *7 hours seemed daunting for a Sunday stuck in a class. Then as the course started I realised this may not be such a long day after all. Steve the course coordinator was brilliant and professional would definitely recommend to others many thanks..
Phil at Dulson Training provided an excellent 5 day presentation, bringing some life to what could have been a very boring 5 days. He was careful to make sure everyone got involved and took something away from each session as the group contained drivers of mixed experience. The facilities were excellent with drinks and lunch being included. I found the day informative although it could have been adapted to be more applicable instead of one size fits all, for example, including types of vehicles that we just don’t drive. The delivery of the course was very good however. Testimonial *Excellent 3 day course and staff were brilliant and very professional and friendly. Testimonial *All modules of the CPC course were delivered brilliantly and I would definitely recommend Driver Link. A very professional outfit. Testimonial * I recently sat the Transport Managers CPC with Driverlink. They are an extremely professional company with very competent staff who are also very helpful+ also very, very friendly. They are always on hand to answer any queries+ nothing is too much trouble. I would strongly recommend them if you are thinking of doing any form of training. Hi, I recently took my DCPC course at driver link, the information I was given was very useful. I really enjoyed the course and the staff were very friendly. I have booked the rest of my courses with them so I don't need to worry in the future and they also email & text me to remind me when they are. Thanks to everyone at driver link for your support. I recently took my transport management CPC at Driver Link. All the staff are friendly and welcoming. They are always there to help and assist in any way they can. I cant reiterate enough though, the importance of doing revision at every opportunity you can. Its vital!! Recently I took the Transport Manager Cpc training course, all I have to say is a big thanks to all staff there at Driverlink, friendly and always willing to help you. Also they were willing to stay to help with any further topics that anybody required additional help with. If you are doing the course in the future I will say that it is a must to get your study packs as early as possible and keep studying until the day of your 2 exams. Recently I took the Transport Manager Cpc training course, all I have to say is a big thanks to all staff there at Driverlink, friendly and always willing to help you. Also they were willing to stay to help with any further topics that anybody required additional help with. If you are doing the course in the future I will say that it is a must to get your study packs as early as possible and keep studying until the day of your 2 exams. I can't underline enough how important it is to study at home as the exams are not easy. Big thanks again to all at Driverlink. The guys at driver link training provide an excellent service. and the courses are not borrowing at all in fact Nick one of the instructor makes it fun. This has got to be one of the best courses I have done in my life time, and will defo be going again for my refreshers . Well done for providing an excellent service from start to finish. Just to say thanks for all your help and assistance with my cpc and adr courses. Many thanks to Guy and the team for the fantastic course (all 5 modules). When looking for a training company to do my CPC I didn't want to go with a company who took your money, started at 8 finished at 12 and you got your 7 hrs cpc, i wanted a company that taught you. Having looked around at various companies for a couple of weeks driver link was the one i settled for and they came up trumps. Struggling to find a suitable venue, and similarly found Driver Link on Google. Turned out to be a great venue, easily accessible, perfect for an offsite meeting, and excellent value. Well looked after by the whole team & we will definitely use again. Thanks guys. I used the room at Driverlink for my IOSH Managing Safely course run over 2 weekends. The room was very comfortable and very clean. My students were also looked after with tea/coffee on arrival and also at mid morning and mid afternoon break. If you are looking for room hire at a reasonable price then I would certainly recommend the facilities at Driverlink Training. The driverlink guys are really good and go through everything needed for the course, really helpful and friendly. Tea, coffee and biscuits provided and really nice training room. The venue is really easy to find. A very well presented course, from start to finish. The admin and bookings were handled with great efficiency and very friendly. The course was presented in a casual and relaxed manner, with the Q6 interaction device being a great way to keep everyone focused. The venue was very pleasant and the coffee and biscuits most welcome. Most recommended. Many thanks to you all. The ADR course was well planned out. The course was in great detail, but was taught by a great instructor who made it seem easy. Staff there made you feel at home and there hospitality was amazing. I highly recommend Driver Link Training in Wigan. Good course, really well presented, very professional would recommend to others. Really enjoyed today's CPC course, liked the new system with the questions and hand held device. Always something new to learn and always willing to help you and answer you're questions. The course was well organized and the staff were great and very friendly.Guy the trainer was very competent as well as having a great spence of humor. Recently completed my sixth driver CPC, by far the best yet. It was good to have an instructor that has experience in the job. Great venue. And yes, I did learn something. Many thanks. Very indepth course lots of information from a very experienced trainer, Professional staff that have done the work in person and not just learnt from a text book. Excellent facilities,friendly, helpful and knowledgeable staff. Competitive prices and central location. Would definitely recommend driver link training. I can highly recommend. Driver Link training. They are excellent. Very professional, with good clear instruction but performed in a relaxed atmosphere. Extremely helpful with information on other subjects. Don't go anywhere else. 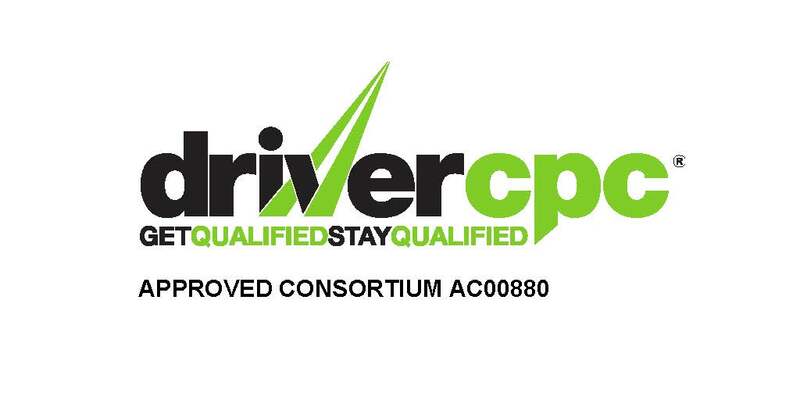 Just complete the new style driver cpc course. The interactive addition was a great way of everyone getting involved and kept everyone interested. This was my 6th period of 7 hour training and it was the most rewarding. Great ADR and CPC Course would well recommend ! sent my drivers also here and also doing more work together ! Another great course on the 6th December. A Drivers Day and Digital Tachographs. From the start of the booking procedure I even receive reminders which was excellent. Facilities and the content were first rate. Well one. The entire process, from initial call to final exam, was made simple by the knowledge and expertise of the staff. I paid for my ADR out of my own pocket but Kevin put my mind at ease from that initial call to him. Dave Webb, the instructor, taught me every thing I needed to know to go, not just through the exam, but forward in a career driving ADR. I can't thank them enough for how expertly the team made the entire process. CPC Module Safe Loading & Highway Code - This is a new career for me, however the delivery was evenly balanced for experienced Drivers and new drivers like me. Guy Dixons approach was excellent and his experience was tangible. The facilities were very good indeed. A relaxed atmosphere really helped the day. Well Done ! and bring on the next one! Great driver cpc course at Driverlink Training today, first time at the new venue and Very impressed. Couldn't of ask for a better place to send our drivers for their courses. Guy was on form as usual delivering lots of useful info. Would definitely recommend Driverlink to anyone looking at driver training courses. Brilliant staff, very welcoming, everything was easy to understand and each course was very clear and understanding. I would recommend anyone wanting to do a cpc course should attend here. Also plenty of tea n biscuits. ???? Driver CPC training was one of the courses I wasn't too excited about. I have changed my mind after attending the course at te Driver Link Trainig. Great facility, very professional delivery reflecting experience and knowledge of the tutor. I have also found out new things which I didn't know about. The moment my Company informed me that I needed to attend another course my imagination ran wild with thoughts of mind-numbing class-room tedium and the usual sleep-inducing slide-show presentations. Gladly, my initial fears were stopped in their tracks by the positive approach of Driver Link Training and, in particular, the friendly and informative approach of the trainer Guy Dixon. Mr Dixon's implementation of personal experience and knowledge proved to be very effective and relevant to the legalities of todays' driving conditions and requirements. The content of the courses was pitched in an easy to-follow manner and got straight to the point. The Driver Link Training premises are comfortable, extremely well appointed with great facilities including a seemingly endless supply of tea, coffee and biscuits. There is plenty of time dedicated to client participation and discussion and Guy is more than happy to provide assistance if there are any questions from the team. Driver Link have got the balance just right in what turned out to be an interesting and enjoyable series of courses and the information provided is second to none. I feel I have benefitted greatly from the courses and would definitely recommend them to any driver requiring clear and concise information on their chosen subject. Thanks very much, keep up the good work. Driver Link Training is definitely recommended. I have completed all my 5 modules over a 2 year period with Driver Link Training. Guy, who instructs the course has an excellent delivery style and outstanding knowledge in all areas. Excellent atmosphere for learning. Within in 1 week of my final module, I had a Driver Qualification card through the post. Welfare arrangements are also excellent and the cost of course is very reasonable. I will be doing my next 5 modules with driver link training for sure. Welfare arrangements are also excellent and the cost of course is very reasonable. I will be doing my next 5 modules with driver link training for sure. Thanks Kev & Guy. Completed my 5th CPC to-day and found Guy a competent and informative instructor The course is wellrun Thank you. Very helpful with regards to new digital tachometer information. Some new information taken in that wasn't aware of. my first of three courses to be done with driver link, found the course very good learned a few extra things i didnt know, course tutor was knowledgable and delivered in a good non droning classroom manner. Loads and loading - good course, well delivered by good trainer - and good butties as well! I did my Cpc on 27/04/13 the course was very informative and delivered well. Well done Guy. this was my first 7 hours training & really was impressed. I attended the driver cpc course at wigan on the 25/04/2013 the trainer Guy gave a thorough and indepth course to the classroom the content was very informative and a credit to the company. Instructor knowledgable and willing to share knowledge. Subjects sometimes a little "dry",but this is not the trainers fault. Good lunch provided. Excellent trainer, very knowledgeable and a professional manner. The course was very interesting. interesting talks and informative friendly and good banter thanks for the lunches. Just done another CPC session with Driverlink,the course was handled very proffessionally the instructer was brilliant helpful and informative could not fault him, looking forward to my next session ..Thank you very much Driverlink ! I enjoyed the 3 courses with Driver Link Training, the facilities were excellent along with lunch provided !. The course tutors where experienced in their field and had practical examples to help understand the subject material. Thanks again !